This item is not available for purchase online. Please call 206-365-9999 for more information. Help eliminate germs and dust with this vacuum's Micron Filter system which retains up to 99% of pollens and dust. OSHA compliant and UL Approved (commercial use). Perfect for the hospitality industry where high standards of cleanliness need to be maintained at all times. 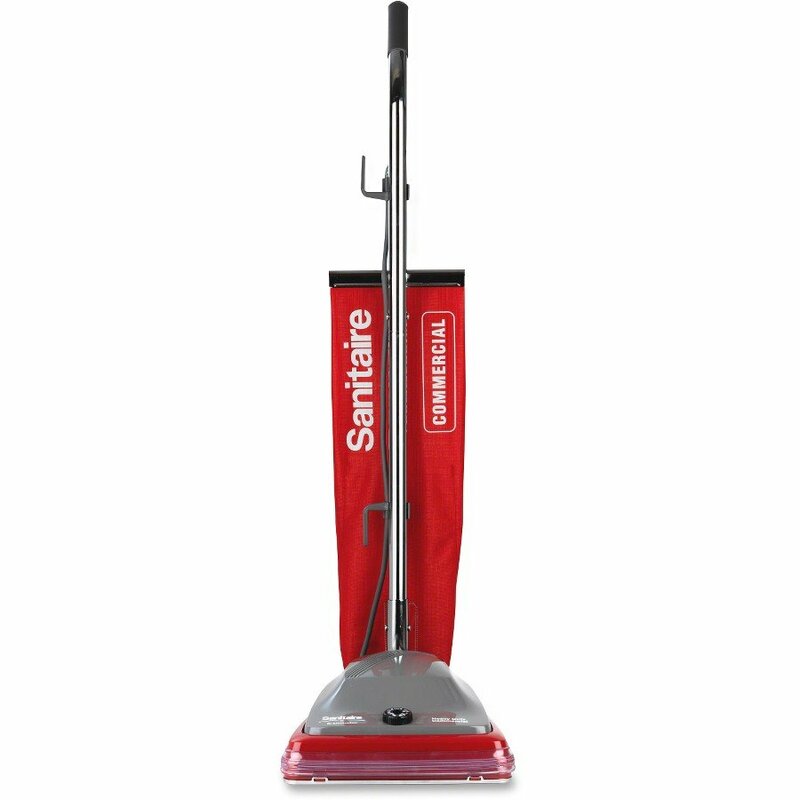 It's 7 amp long-life motor, 6 position carpet height adjustment, and ball bearing steel brush roll provide powerful, deep cleaning with each use. Includes 12" wide cleaning path, 50 foot long power cord and a "shake-out" cloth bag which reduces cost as no paper replacement bags are needed.